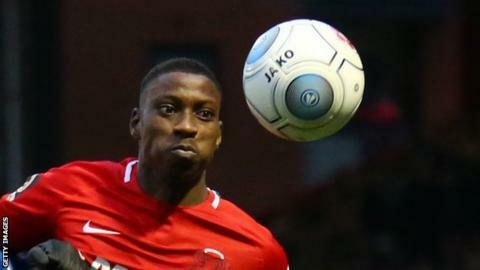 Marvin Ekpiteta's second-half goal was enough to see Leyton Orient replace Wrexham at the top of the National League. Justin Edinburgh's side had the better chances and Ekpiteta fired home from the edge of the box with 18 minutes remaining. The O's are a point ahead of Wrexham and have a game in hand over Bryan Hughes' team. Hughes suffered his first defeat since taking over at the Racecourse. Wrexham manager Bryan Hughes said: "It was a close, tight game that could have gone either way a little bit Chesterfield last weekend I felt. "Everyone will portray it as a setback because of the position that we're in. Now it's about us bouncing back." Match ends, Leyton Orient 1, Wrexham 0. Second Half ends, Leyton Orient 1, Wrexham 0. Substitution, Leyton Orient. Josh Coulson replaces Jordan Maguire-Drew. Substitution, Wrexham. Cole Stockton replaces Ben Tollitt. Goal! Leyton Orient 1, Wrexham 0. Marvin Ekpiteta (Leyton Orient). James Jennings (Wrexham) is shown the yellow card. Substitution, Leyton Orient. James Brophy replaces Sam Ling. Second Half begins Leyton Orient 0, Wrexham 0. First Half ends, Leyton Orient 0, Wrexham 0. Substitution, Wrexham. Bobby Grant replaces Brad Walker.